The client had an established blog on blogger but was frustrated and decided to go self hosted with WordPress. She got in touch after getting stuck on setting up the database and installing WordPress. I set it up for her and then we worked together to set up the magazine style theme. I showed the client how to make the best of the theme and use widgets to their full potential and also how to mazimise her social media presence. 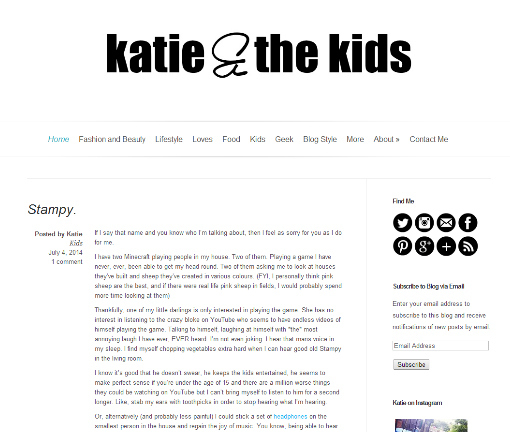 Since the blog was re-launched I have worked with her to update the header and social media widgets.